IKEA’s slippery slope in Russia | Russian Legal Information Agency (RAPSI). It took four days for a court in the Smolensk region to examine the crucial information disclosed by Joakim Virtanen, former manager at IKEA’s Russian division, who had turned himself in to investigators. Virtanen told the law enforcement officers that in 2011 through 2014 he gave false testimony against businessman Konstantin Ponomarev and companies under his control, including Sistemy Avtonomnogo Energosnabzheniya (SAE). At the time several criminal cases were brought against Ponomarev while his companies were embroiled in litigation with IKEA’s Russian division over rented diesel generators. Last week, Virtanen presented his arguments before the Smolensk court as a witness. Having spent over 10 hours in the court, he kindly agreed to answer some questions in an exclusive interview to RAPSI. - Mr. Virtanen, what made you give false evidence and then turn yourself in to investigators? Does it have anything to do with the recently enacted law on active repentance? - I was interrogated after I turned myself in. I told investigators that the evidence against Konstantin Ponomarev I knew to be false had been gathered by Semyon Shevchenko, a lawyer at Monastyrsky, Zyuba, Stepanov & Partners, who acted for IKEA. I was dragged into all this gradually being deceived. Five years ago at a notary office I was offered to sign a paper claiming that I did not sign some documents. IKEA, for its part, promised to pay my salary arrears. I signed the paper because I didn’t consider it to be of great importance. At some point I gave a sample of my signature that had to be examined in court. Thereafter I was asked to testify in a commercial court and say that documents which I signed on IKEA behalf had been forged. I was going to refuse to do it because it was ridiculous and everybody knew that. I agreed only after they told me that I was facing deportation and might be banned from entering Russia. I was assured that I would have no problems with doing what I was told to do. I was told that there was a deal with commercial courts that wouldn’t check the sample of my signature and would declare the documents in question to be forged. In the end, it turned exactly this way. Later, a probe was launched into suspected fraud, a criminal case opened against Ponomarev. I was asked to deny that I had signed generator rental agreements in order to avoid payments for 2009 and 2010. Then it was alleged that the money paid to Ponomarev in 2007 and 2008 were stolen. Every time I met with investigators I was asked to tell lie against Ponomarev. I have a feeling that by that time IKEA lawyers did their best to take everything Ponomarev owned and put him in jail. I was forced to tell lie and say that I didn’t sign documents accusing Ponomarev of wrongdoing for several years. I received no money or bonuses for this. I was supposed to live in fear as they could make me leave Russia. I decided to tell the truth after the bill on active repentance was signed into law and I received a residential permit. - Who do you think might be interested in causing delays in the litigation between IKEA and Konstantin Ponomarev? - I believe that Semyon Shevchenko along with other Russian lawyers working for IKEA have been living off the dispute for eight years now. They are leading the situation into a deadlock. IKEA opted to retain generators in 2009 and 2010 after the lawyers persuaded top management of the company that they would be able to terminate the generator rental agreements through courts and avoid payments. If it’s possible to use the generators for free what’s the point in getting them back to Ponomarev? The lawyers even suggested to get rid of the generators instead of getting them back. IKEA had to pay for generators rented in 2007 and 2008 after Russian courts scrutinized the terms of the rental agreements and found no faults. However, the issue of payments for 2009 and 2010 remained unresolved due to recommendations made by IKEA lawyers. It is clear that IKEA should pay Ponomarev, but lawyers should be held liable for the losses of the company. The lawyers earn on these delays while IKEA is losing points. - You decided to turn in to investigators after you read about the murder of lawyer Dmitry Kurochkin in Finland. Do you think that somebody on IKEA side might be involved in this murder? - There is no evidence at my disposal that IKEA might be involved in the murder of the lawyer. Moreover, I knew about the murder from mass media. The only fact I am aware of is that Kurochkin also testified against Ponomarev. Probably he also wanted to tell the truth. After I turned myself in Semyon Shevchenko on a number of occasions proposed to meet with him in Finland. He told me that there was no opportunity to arrange a meeting either in Moscow where he resides and works or in St. Petersburg where I live and work. When I was summoned to testify as a witness upon IKEA petition I came across six men, some of them armed with assault rifles, at the entrance to the court. These people were led by IKEA lawyers. I applied to the court for my protection. - IKEA has a zero-tolerance policy regarding corruption and fraud. Don’t you think that it failed taking into account what has happened to you and Ponomarev? 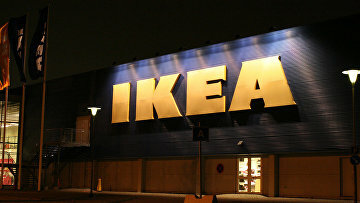 - IKEA’s code of conduct was proposed personally by Ingvar Kamprad. It has always been a top issue. However, it’s not IKEA top managers who have put in place the strategy against Ponomarev but Semyon Shevchenko and other Russian lawyers. This strategy is being realized in accordance with their views on ethics and not in accordance with the code proposed by Kamprad. False testimony in court, slander directed at Ponomarev, unlawful criminal cases, intimidation of witnesses… It is not the Kamprad's way. Mr. Virtanen has answered to RAPSI questions in writing. The interview was duly signed by him. IKEA representatives, Mr. Shevchenko will be given an opportunity to answer Mr. Virtanen or comment on his interview on the RAPSI website at their prompt request. 15:41 31/08/2016 Russian businessman Konstantin Ponomarev is embroiled in a long-standing dispute with IKEA over rented diesel generators. A turning point in the litigation emerged after Joakim Virtanen, former manager at IKEA’s Russian division, turned himself in to investigators. Virtanen presented his arguments before the Smolensk court as a witness last week. Having spent over 10 hours in the court, he kindly agreed to answer some questions in an exclusive interview to RAPSI.